This post is a based on a presentation I made on a dare – something a former colleague proposed with only a title and a description, and it was up to me as the replacement to provide the actual content. It sort of reminds me of a debate club, where you are told that the topic is ‘App Revolution’, and you have 20 minutes to argue the ‘Pro’ position. What follows is my attempt to do it justice. Have fun (and mercy). When we are confronted with the topic of revolutions, most of my North American friends immediately conjure up the sound of Yankee Doodle and the picture of George Washington crossing the Delaware River (I saw it last year in The Met – boy, is that painting big!). Being of European descent, my thoughts give preference to the French Revolution. 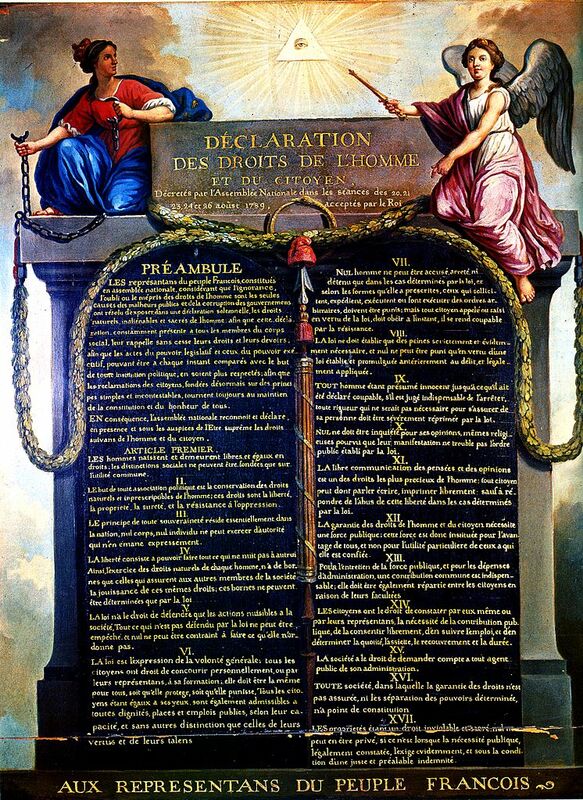 It has essentially given us the modern European society, with milestone documents such as ‘Declaration of the Rights of Men and Citizen’ shown above. It has also given us the guillotine, which is sad but as Jacques Mallet du Pen famously quipped, all revolutions devour their children. What can you do – it’s a revolution, so16,594 people are bound to lose their heads, give or take. One of the indispensable aspects of revolutions are slogans, something you can easily chant at the large group gatherings. Something catchy, such as ‘Freedom, Equality and Fraternity’ in the case of the French Revolution. Or as Blackadder interpreted it ‘Freedom, Equality and fewer fat bastards eating all the pie’. As you correctly noticed, these slogans often call for three things. If that is true, and we are indeed witnessing an App Revolution, what would our slogan be? What three things would we want from our oppressors? We are fighting for the freedom and abundance of data, infrastructure and architecture. Note that when I say ‘freedom’, I don’t necessarily mean ‘completely free’. We know we will need to pay for some of it, hence the word ‘abundance’. While food in Western society is not exactly free, it is definitely abundant. You can go into any supermarket and leave with a whole rotisserie chicken for a few dollars. During the French Revolution, only the aforementioned fat bastards could afford it. That’s progress. Hence, let me try to explain why we are fighting for these three things. You have probably heard the phrase that we are living in an age of ‘API Economy’. What does that actually mean? In the past, data was a by-product of people using your application. Over time, your app’s database would fill up with data. The thinking was that the app is the product, and data is just internal by-product, a consequence of app usage. More recently, data started to take off as something that can be as important, or in some cases the only product you provide. While in the past tacking on an API to your app would be an afterthought, something you may consider for partner or customer integrations, most modern systems are now built by first building the API for the data, then building up various clients that consume it. Your own clients are just ‘reference implementation’ of hopefully many other consumers of your APIs that will follow. Even music is going API these days. Sound engineers are now expected to provide stems of mastered music (drums, bass, guitars, keyboards, vox) so that remixers can easily provide derivative value without the hassle of sampling fully mixed songs (the audio equivalent of screen-scraping). What are stems but audio APIs? Why is this important to us? Because when you open up your APIs, you become a platform, and platforms foster app eco-systems, with apps creating new value in many unexpected ways. Today, the most coveted place for any company is not to create a consumer product, but to create a platform that offers data and API, and creates a flourishing eco-system of apps built to take advantage of it. API discovery is now in the vogue, catalogs are sprouting, and all you need is to subscribe, obtain the authentication key and start building your innovative abstraction on top of it, or by combining multiple data sources in an innovative way. 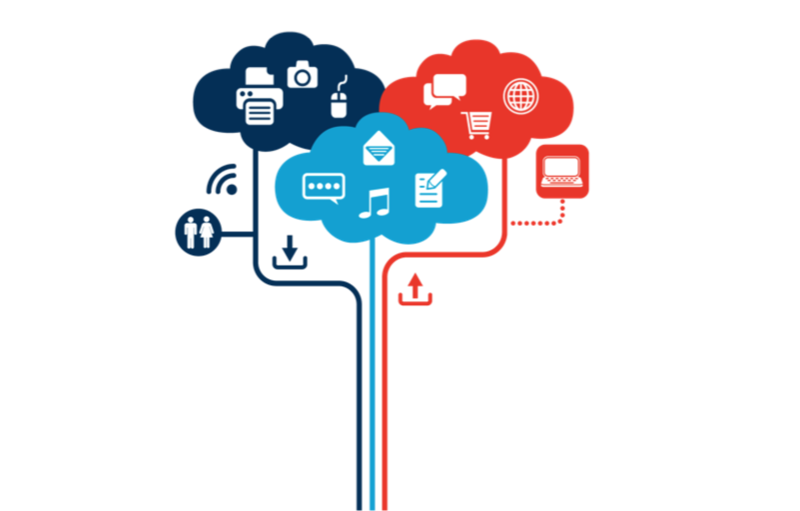 You can be data mining, providing innovative interfaces, analytics, or integrations with other systems. 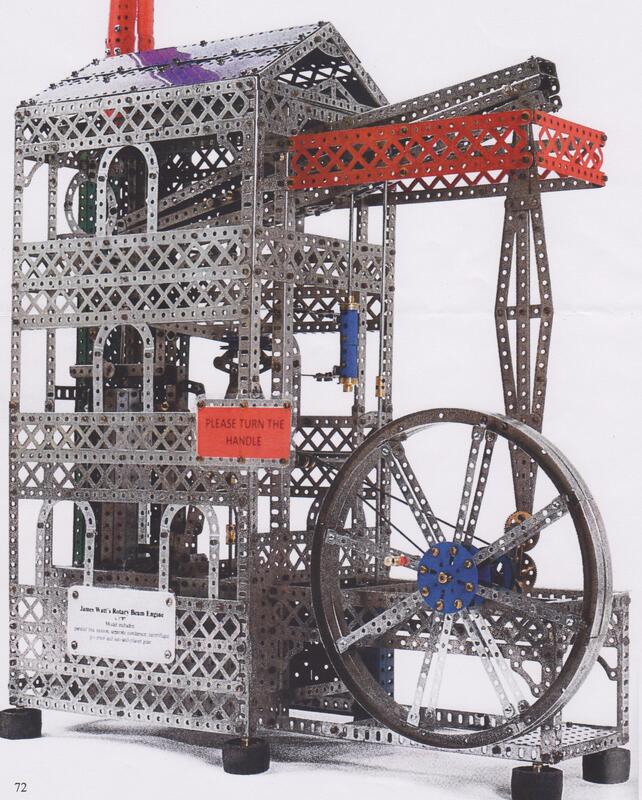 When I was a child, my parents bought me a Meccano kit. In those days, giving a child a box full of tiny sharp metal objects was consider totally cool. I quickly built all the possible toys based on the accompanied booklet, but sneaky bastards from Meccano also put a picture of a crane on the box that would require something like 10 sets to build. Since then, I developed this realization that I need to find a discipline in which I will not be limited by a box of finite number of parts. That’s why I chose software engineering – it is rare you will run out of files, or classes, or functions or variables the way you can run out of Meccano panels or tiny nuts and bolts. However, once you venture into Web development, you hit the infrastructure version of Meccano. Your database, your server, your front end proxy all need to be hosted on physical boxes, and Mordac The Preventer from Information Services can make your life miserable in a hurry. This is why Cloud is so important for our revolution. Regardless of where you fall on your ‘as a Service’ comfort level, you can use an IaaS or PaaS or SaaS to stand up your apps in minutes. Assuming you have found free or abundant source of data, your app can now be running and stay running without the need to worry about the messy sysadmin details or melted boards. It does not end with just seeing your app running, either – you can jump into the third freedom that is the final cornerstone of our revolution. In the dark ages of IT, it used to be that architecture was for the rich, and The Big Ball of Mud was for the rest of us. While you instinctively know that you should not be cashing those objects in memory, who is going to stand up, maintain and cluster Redis for it. You know that a message broker would be a real answer for your particular problem, but don’t have the stomach to stand up and administer RabbitMQ, or any of the popular alternatives. There is no accident that the famous Martin Fowler’s book from 2002 is called Patterns of Enterprise Application Architecture. At that time, only an enterprise could afford to provision and maintain all the boxes that such an architecture requires. That same Martin Fowler not talks about Polyglot Persistence – the approach where apps in a distributed system choose different types of databases that perfectly suit their diverse needs, instead of underpowered MySql for everything. And he is not using the word ‘ enterprise’ this time, fully aware that a nerd hacking away on his Mac in Starbucks can provision such a system in minutes. App revolution indeed. It uses Facebook for delegated authentication and to tap into Facebook’s data. No need to stand up anything, just register as a Facebook developer, obtain your client ID and secret and off you go. 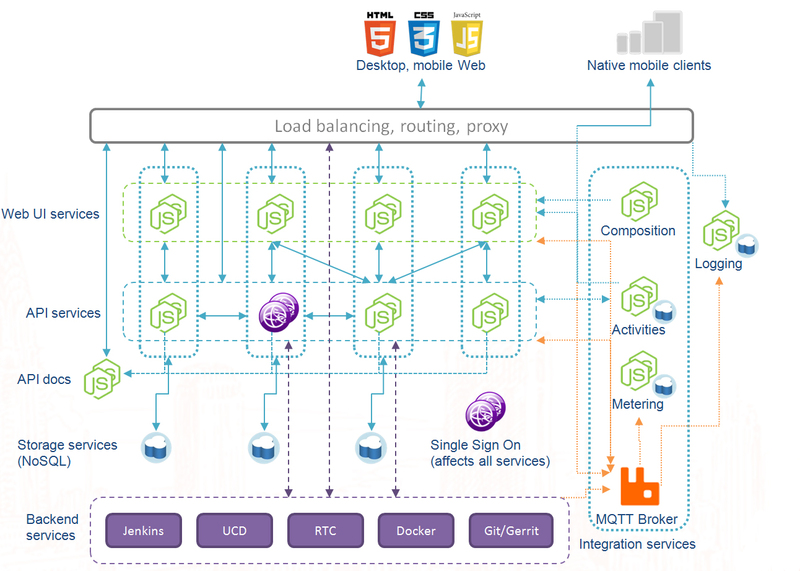 It deploys complex infrastructure (two Node.js app servers, a proxy, a data cache) to Bluemix PaaS within a matter of minutes, all using just a Web browser. In a pinch you could do it on a bus using your iPad, while also debating someone totally wrong on the Internet. 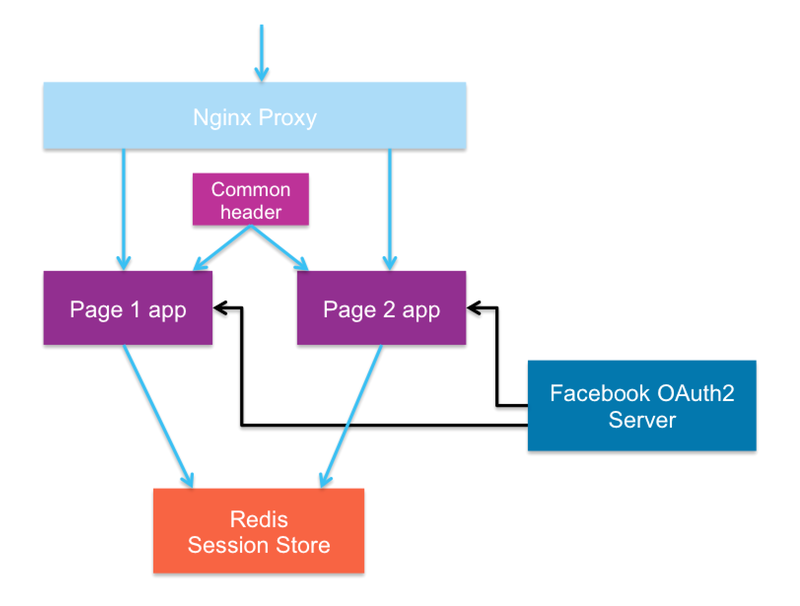 It uses serious architecture (OAuth2 provider, Nginx proxy, Node.js micro-services, session sharing via Redis store) that was unheard of for non-institutional developers in the past. Of course, the notion of a platform is not limited to the Web. In fact, some of you may have initially thought the article is about mobile apps. Phones are huge app ecosystems, and so are the upcoming wearable platforms, of which iWatch is just the latest example. Venturing further away from the classic Web apps, cars are now becoming rife with platforms unleashing the app revolution of sorts. Consider Apple’s CarPlay that Scott Rich wrote about in O’Reilly Radar – a platform for apps in your car, tapping at the latent and closed data world and opening it up as a new app eco system. It is a different context but the model seems to be the same: create a platform, open up the data through APIs, and unleash the inventions of app revolutionaries hunched over their laptops around the world. In the past, the control of data, infrastructure and architecture were limiting factors for the masses of developers around the world. Creativity and ideas are dispersed far more equitably than the control over resources would make you believe. At least in the area of software development, the true app revolution is in removing these control points and allowing platforms and eco systems to let the best ideas bubble up. Whether you are a guy at a reclaimed wood desk overlooking San Francisco’s Mission district, or a girl in Africa at a reclaimed computer in a school built by a humanitarian mission, we are approaching the time when we will only be limited by our creativity, and by our ability to dream and build great apps. And that, my fellow developers, is worth fighting for.